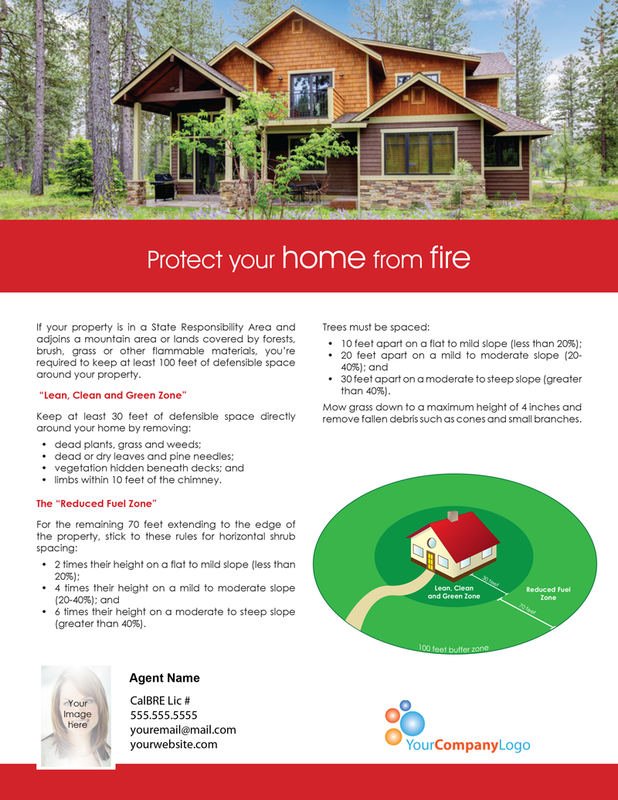 If your property is in a State Responsibility Area and adjoins a mountain area or lands covered by forests, brush, grass or other flammable materials, you’re required to keep at least 100 feet of defensible space around your property. limbs within 10 feet of the chimney. 6 times their height on a moderate to steep slope (greater than 40%). 30 feet apart on a moderate to steep slope (greater than 40%). 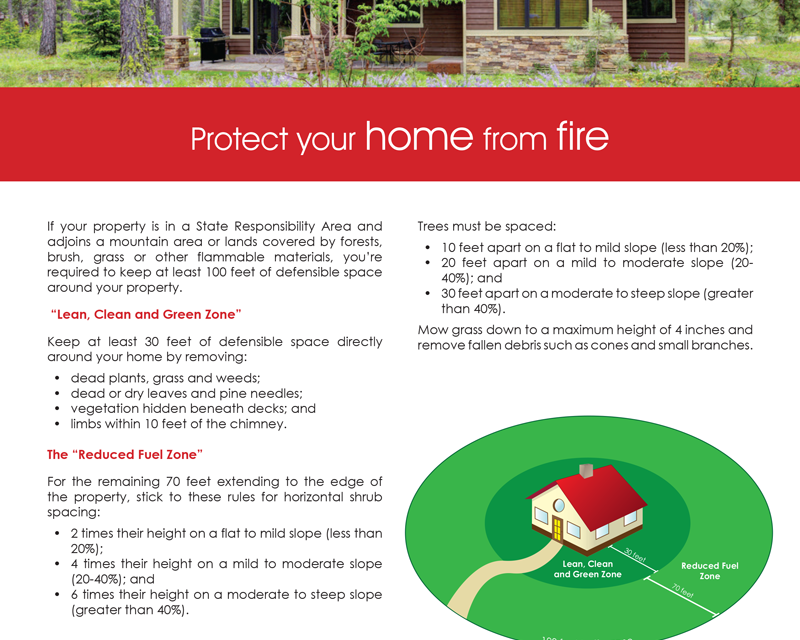 Mow grass down to a maximum height of 4 inches and remove fallen debris such as cones and small branches.